Kingsville, Ontario November 27, 2018 –During the annual OPMA Gala on November 9, Carl Mastronardi, President of DelFrescoPure® was the proud recipient of the OPMA Cory Clack-Streef Produce Person of the Year Award. Mastronardi received this prestigious award for his diligence and dedication to the greenhouse strawberry program. 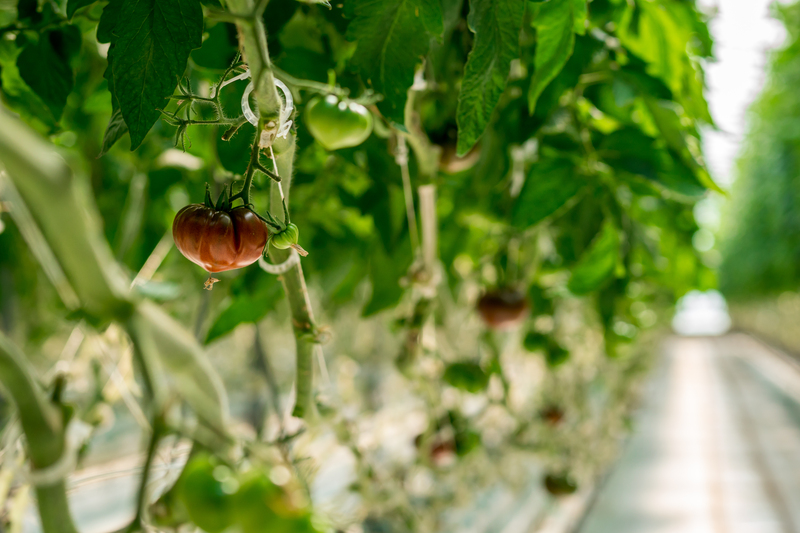 By September of 2017, ten acres of cucumber greenhouses were retrofitted to grow strawberries using high-pressure sodium grow lights enabling the strawberries to grow all year long. Production was scheduled for January 2018. DelFrescoPure® was the first greenhouse grower in Ontario to offer greenhouse-grown strawberries during the winter season. With support from local and national retail partners, the strawberry program was a huge success and drove the further expansion of six acres for a total of seventeen acres of strawberry growing – all year round! DelFrescoPure’s® strawberry program marketing and communication plan includes: a social media campaign with a local registered dietician, promoting the ‘locally grown’ and ‘buy local’ message for strawberry sales, a double-sided billboard rental spot at the Ontario Food Terminal, social media outreach with Produce Made Simple, TV segments with RT and other influencers, featured ads with retail partners throughout the year, in-store demos with consumer-facing POS materials about how we grow, editorials in the Windsor Star, multiple interviews with the media, a video on “How We Grow Greenhouse Strawberries”, and outreach with trade publications promoting YES!Berries Your Everyday Snack™ strawberries. During the launch of our new YES!Berries Your Everyday Snack™ strawberries product, the initiation of these communication plans resulted in multiple compliments for Carl regarding consumer education outreach throughout various social media platforms. DelFrescoPure® brands greenhouse strawberries under YES!Berries Your Everyday Snack!™ which are available in two convenient packaging options: a 12oz clamshell and a 3-pack of 4oz on-the-go STACKERS™ with local and national retail partners.